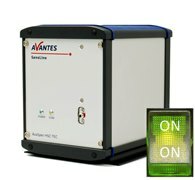 Avantes will have several exciting demonstrations this year at booth A2/101, showing the latest advancements in fibre optic spectrometers. The Avaspec-Hero is an ultra-high sensitivity and high resolution spectrometer. The Hero features Avantes’ high sensitivity compact 100mm optical bench offering a numerical aperture of 0.13 and a cooled back-thinned CCD detector (1,024 x 58 pixels), as well as high-performance electrical components for noise reduction and high dynamic range. The Hero delivers unparalleled performance in low light detection for applications such as fluorescence and Raman. Attending conventions and conferences is one of the ways that Avantes keeps up with that cutting edge of scienceby talking with the world’s leading researchers, scientists, and engineers.